O’Donovan Productions www.odonovanproductions.ie) were delighted to film Natalie & Patrick’s Wedding which took place in Lough Rynn Castle, Co. Leitrim. Part of our day included filming a ‘Marryoke’ of their wedding day. Here is the result – hope you enjoy it…. O’Donovan Productions (www.odonovanproductions.ie) were delighted to film Nora & Ronan’s Wedding which took place in Monaleen Church followed by a reception in the Castletroy Park Hotel, Limerick. 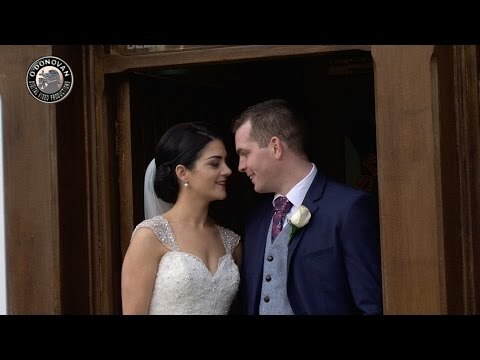 Here are some Highlights from their wonderful day…..
O’Donovan Productions (www.odonovanproductions.ie) were delighted to film Bernie & Anthony’s Wedding which took place in St. Mary’s Church, Quin, Co.Clare, followed by a reception in the Radisson Blu Hotel, Ennis Road, Limerick. Here are some Highlights from their wonderful day…. O’Donovan Productions (www.odonovanproductions.ie) were delighted to film Laura & Gareth’s Wedding which took place in Holy Trinity Abbey Church, followed by a reception in the Woodlands House Hotel, Adare, Co. Limerick. Here are some highlights from their wonderful day…….